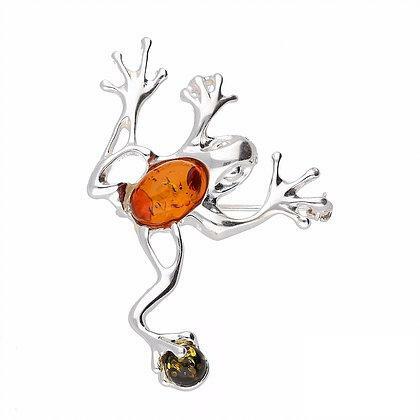 Beautiful frog brooch made of a sterling silver with oval and round shaped amber stones. 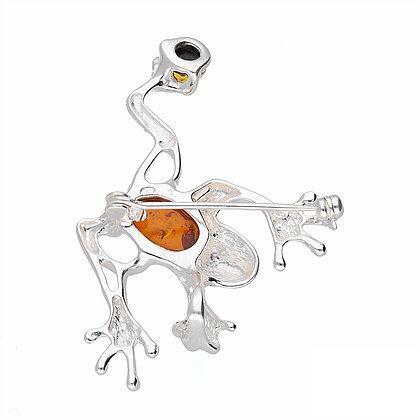 This handsome frog features a brown amber back and ball of green amber between his toes. This unique brooch looks perfect on any lapel! 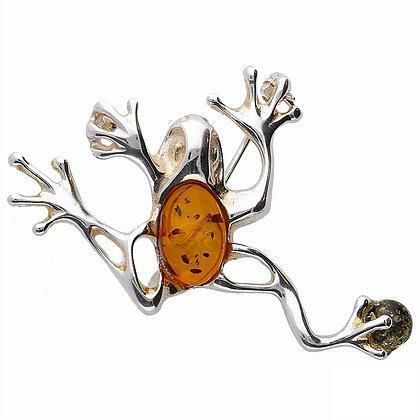 Why not pair with our Brown Amber Frog Ring for the perfect pairing.